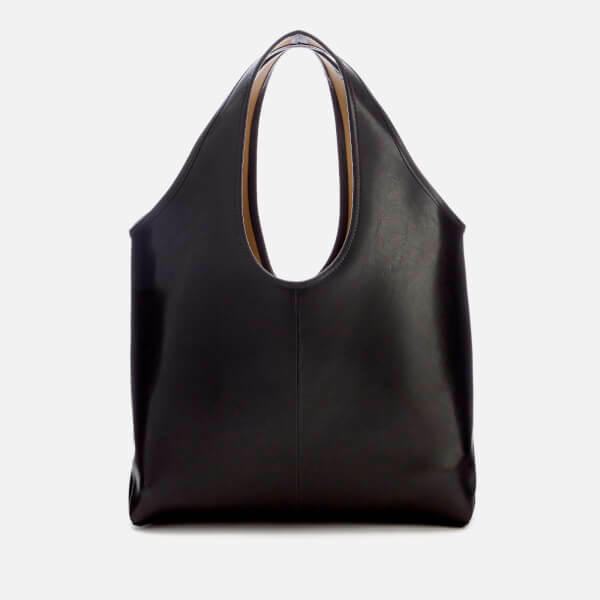 Large black shopping bag by See By Chloé in double-faced cowhide leather. 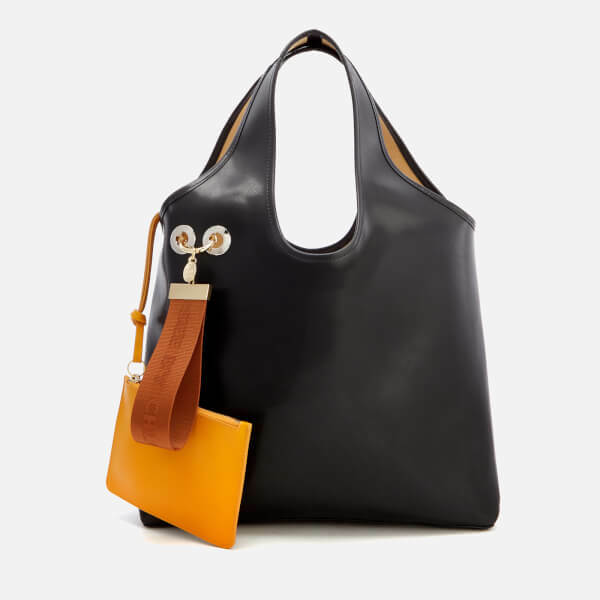 Boasting a classic, elegantly minimal design with a spacious, open-top interior and seamlessly integrated twin tote handles, the bag comes with a removable mustard yellow-coloured zip top pouch for keeping smaller essentials secure and easily accessible. 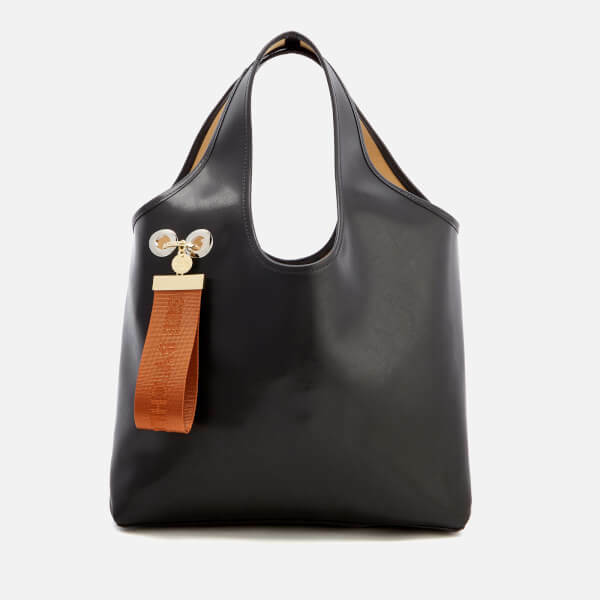 Accentuated with a branded webbing keyring and two-tone hardware made from nickel and brass. Unlined. Dimensions: H: 30cm x W: 34cm x D: 15cm. Handle Drop: 25cm.